SonoSim, Inc., developers of the groundbreaking SonoSim® Ultrasound Training Solution, announced today that its Personal Solution is now available for Mac OSX users. The new support extends the SonoSim® Personal Solution to an even broader base of physicians, nurses, and students wanting to learn ultrasonography. The new OSX version is now available today from SonoSim’s website. The SonoSim® Personal Solution is designed to simplify ultrasound education. It consists of fully customizable educational software and a USB-powered SonoSim® Sensor that turn laptop computers into ultrasound classrooms. Combining hands-on training with over 1,000 actual patients and real pathologies, didactic courses created by leaders in ultrasound education, and real-time knowledge assessment, the SonoSim® Personal Solution provides a simple and comfortable “anytime, anywhere” learning environment for learners. The SonoSim® Personal Solution starts at $2,995, and comes with a range of customization options that focus on the specific needs of individuals and groups. 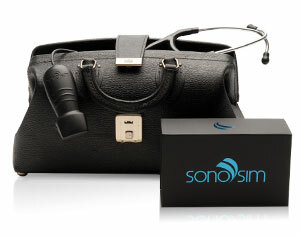 For more information, visit https://sonosim.com/our-solution/.